Employees who attend 80% of their At Work meetings may request reimbursement for 50% of their membership fees. To be eligible for reimbursement you must continue to attend meetings at the same At Work location. To request your partial reimbursement, complete a Weight Watchers Reimbursement Form, get your WW Leader to sign it, and submit via email, fax, or pony. Reimbursements will be paid through payroll. 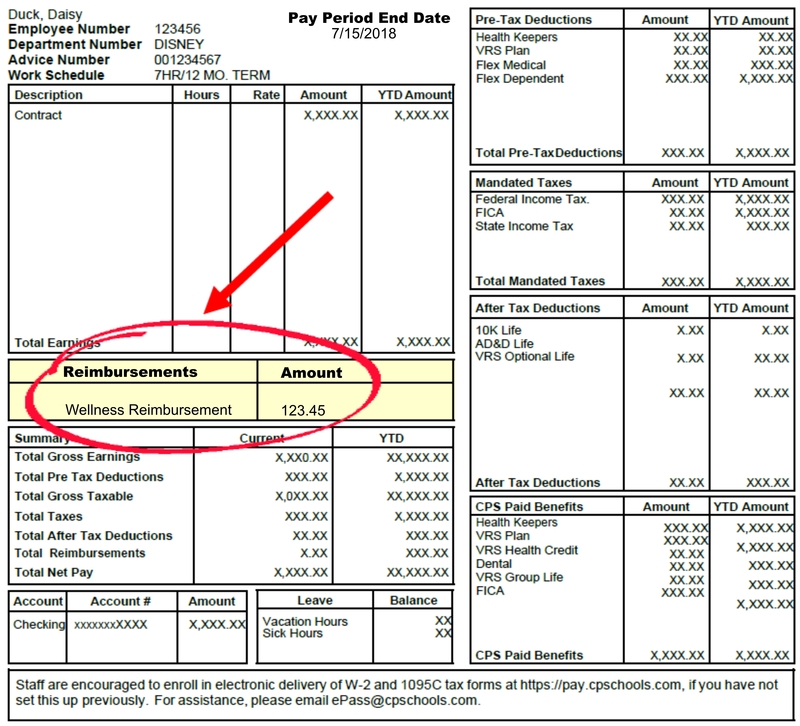 You will see the reimbursement on the left side of your paystub, under “Reimbursements.” See image below. Please allow up to two payroll cycles for your request to be processed.